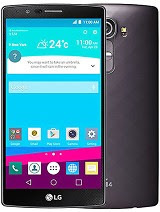 LG is surely keeping to its promise of delivering a quick update to its G4 flagship device if the leaked ROM for the H814 is any indication. A Marshmallow Android 6.0 KDZ file was recently posted by a XDA forum member. The ROM can be flashed using TWRP or LG's proprietary Flash Tool. If you are a LG G4 and want to skill the long wait for an official OTA update. You should follow the XDA link in the source.